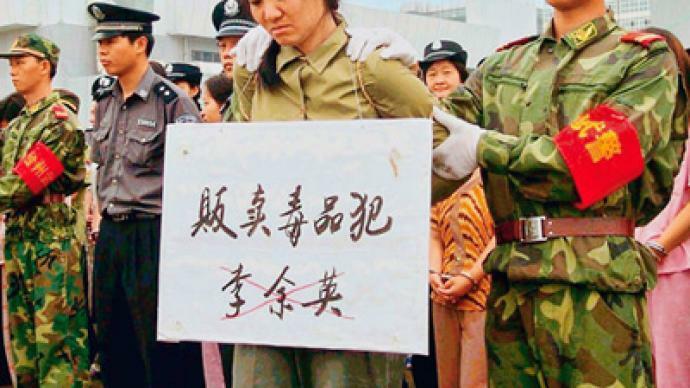 When it comes to human rights in China, the US talks tough but rarely takes action. But, the US is happy to do business in China. 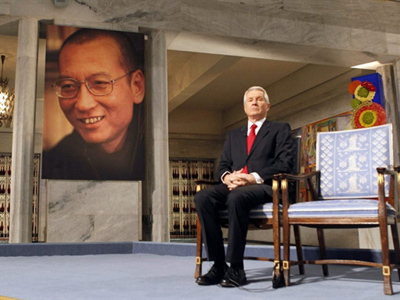 Dozens of Chinese dissidents, human rights groups and one US congressman gathered at the Memorial to the Victims of Communism in Washington DC to denounce the imprisonment of Chinese dissident Liu Xiaobo. "We are also here to remind our friends in the Chinese government that you cannot suppress the human spirit, that freedom yearns to express itself. Xie xie," Congressman Dennis Kucinich, a Democrat from Ohio, told the crowd amid applause. But Washington's dependence on Beijing economically and its eagerness to sell billions of dollars in arms to Taiwan, Japan and South Korea highlight the US's hypocrisy when it comes to human rights. Medea Benjamin, founder of CODEPINK and a peace activist who has worked on human rights issues in China, said successive administrations have selectively criticized human rights in China not only for moral reasons, but for defense dollars as well. "The US military needs an enemy," Benjamin said. "One of the things that the US wants to do is continue the arms trade, and selling $6 billion in arms to Taiwan is part and parcel of this fearmongerin. All that fearmongering is being used to create a stronger weapons industry."